To Sweden came the dart in 1960 but it was only 50 years later on January 1, 2010 as the dart became a sport. The story of the dart began when warriors threw short throws against landscape winnings during a rest period. Their competition was developed and a more specified marked goal became necessary. This led to the use of a disc from a natural-tree tree that proved to be perfect for scoring. 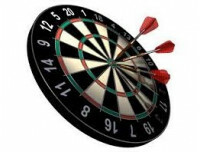 The short throwing paws developed into darts and in the early 1900s the dart was made of wood, about 4 inches tall with a metal tip at one end and springs in the other. The metal arrow was patented by an Englishman in 1906. 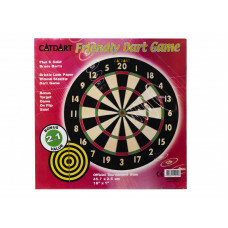 Catdart Kings Head, 112-5010 / Dart complette set. Cabinet, dart board, darts, white board, white board pen and duster. 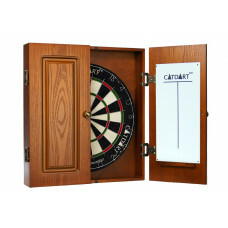 Everything you need for a pleasant dart..
Catdart Pro in Brown, 112-9050 / Dart complette set. Cabinet, dart board, darts, white board, white board pen and duster. 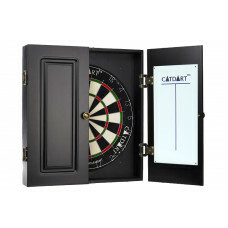 A professional dart board for a perfe..
Catdart Pro in Black, 112-9050 / Dart complette set. Cabinet, dart board, darts, white board, white board pen and duster. 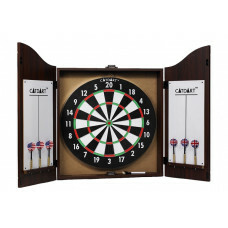 A professional dart board for a perfe..